Morning Mermaid! If I had more time I would have liked to have added some seaweed or bubbles. A sleepy squirrel to commemorate the holiday. Excited for colder weather (hopefully some rain too! ), boots, and delicious fall treats. It's not often that I find the time to color things anymore, like really render them out. Took me way to long to get this one done, and it was fun working on shading again, and some of the different textures. I used to do it all the time in high school when I first got Photoshop and a tablet. Just need to work on hands! Starting my training routine for my next sprint triathlon! I participated in my first last year and am excited to try and beat my time for this round. I have until August to get back in racing mode, and improve my biking and running (swimming I'm good with). Hoping to be a part of the Long Beach Triathlon, and possibly the LA Triathlon after that in September. Work hard, play hard! He is my little guy and I love him so much. 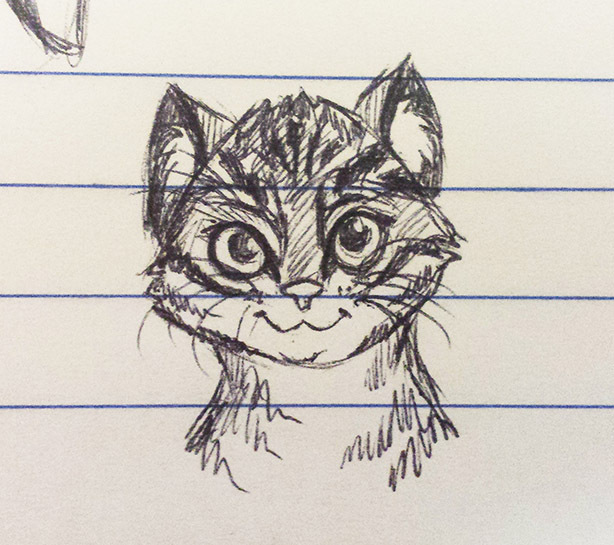 I will try and make a few more little doodles about my favorite memories of him soon. 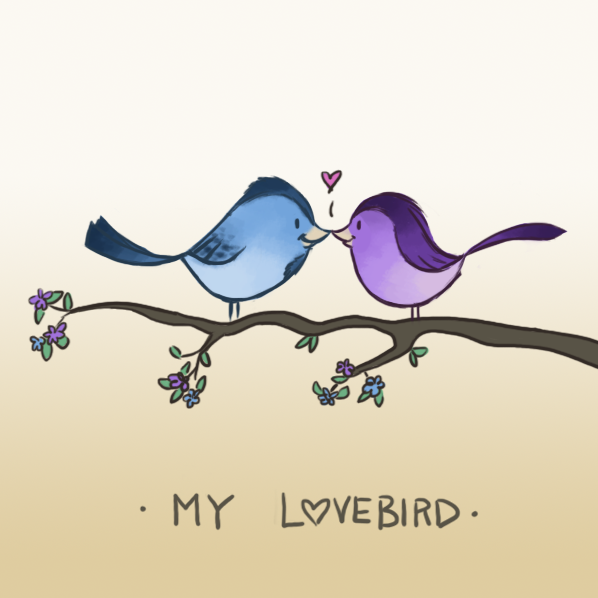 Digital sketch of the Valentine's Day card I made for my boyfriend :) The original one was in colored pens on bristol paper. Some Valentine's Day doodles from this year. Had a wonderful weekend with my boyfriend and ate a bunch of chocolate as is the norm. Back in high school I would draw cupids every year for Valentine's Day. Below are a few of them, as well as a cupid doodle from this year. Back in my anime days, also when I had more time to play with coloring in Photoshop. A pensive cupid looking out off a cloud. Quick cupid doodle from this year. Obviously traditional because of the quality. Fat cupid who eats chocolate all day on Valentine's Day. This guy is my favorite. I think I started drawing him when I took a Greek Mythology course... or maybe some night when I decided to put on Pan's Labyrinth. 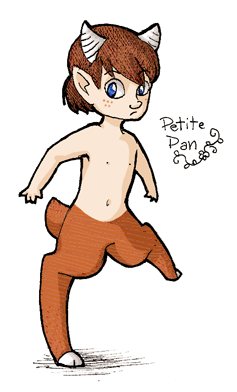 Either way, I later on researched satyrs and found out how mischievous they can be, and decided to draw Petite Pan a little differently. A more stylized pan, being friendly with a butterfly. I was really into pens at this point, so I drew him all the time with a thick black outline. Every few years I would revisit him briefly and he would change slightly. Here are some really rough sketches from a few years ago, during a character design class while learning about expressions. 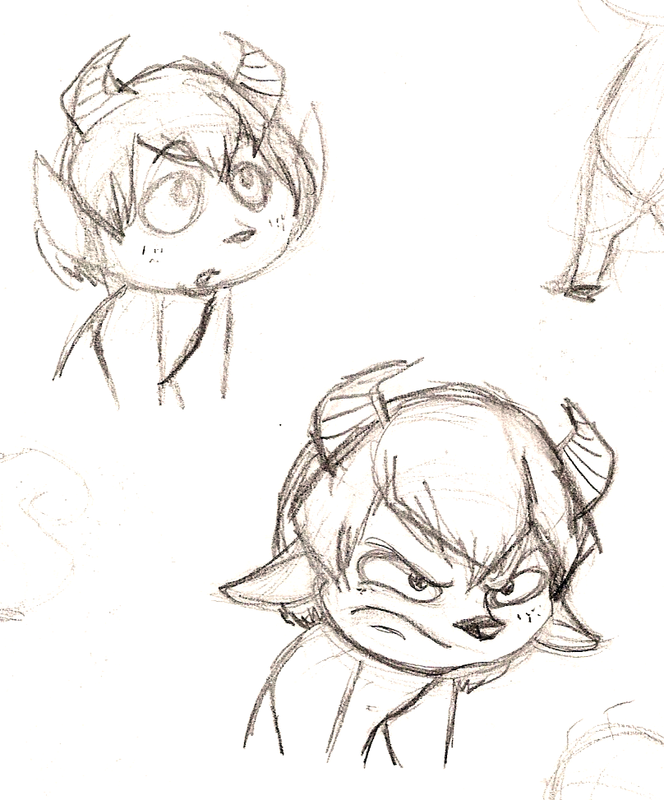 The last one is a recent version, and this time I added a few more goat-like characteristics, which may make him look slightly creepy, but I like it. It's great looking back at all the different ways I drew and interpreted a character (there are many more drawings of him but I haven't scanned them or don't have them anymore). I can see where I was exploring with different shapes and expressions. Old drawings are also great jumping off points whenever I am stuck in a drawing rut. I have shelves of old sketchbooks to look back on and see how far I've grown. Some doodles from yesterday. A cat, a hippo, and a baby. 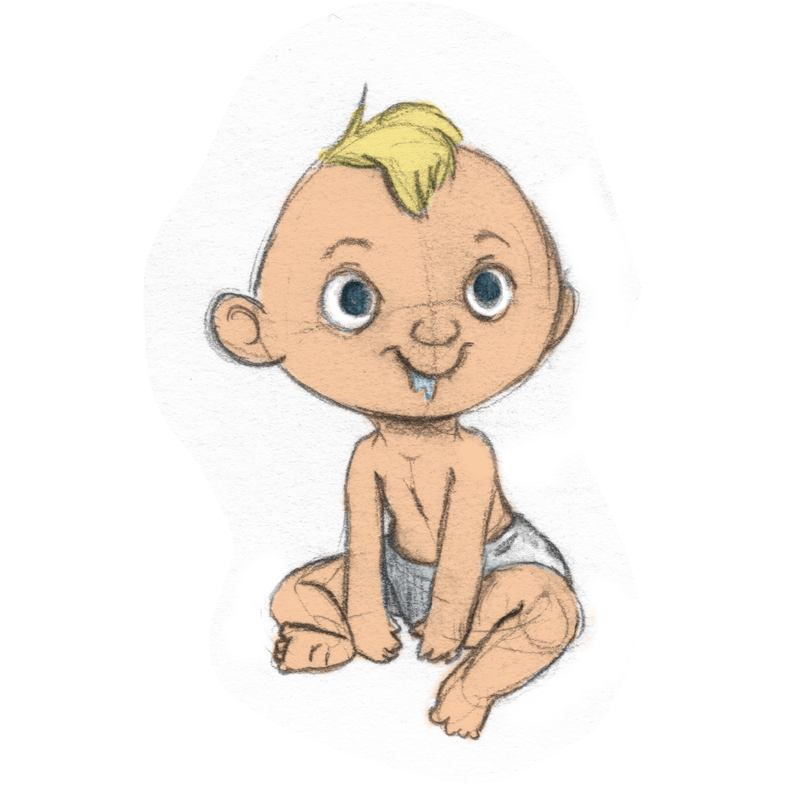 Added a bit of color on them in PhotoShop :) The baby kind of looks like Jack-Jack from The Incredibles, but that was unintentional. Also I think he has red hair so its even less so now that he's colored.